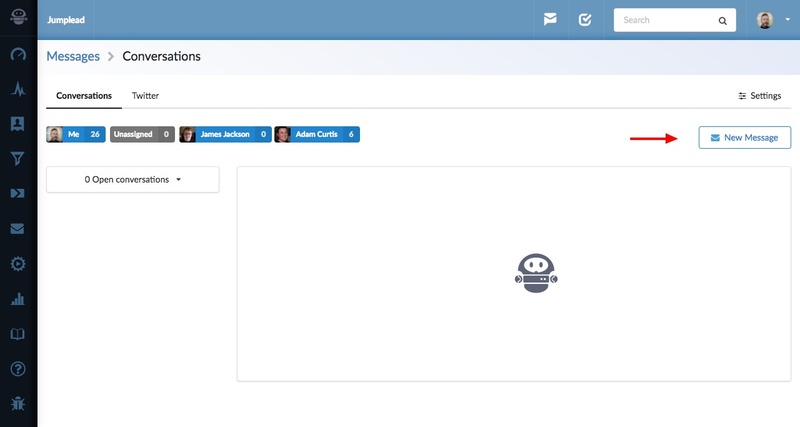 Create a new conversation for any contact directly from the Messages section. You can create a new conversation for any contact directly from the Messages section. This will send an email (including any signature file you have set up in Jumplead). You will receive the contact's response as well as it appearing as a conversation in Jumplead. 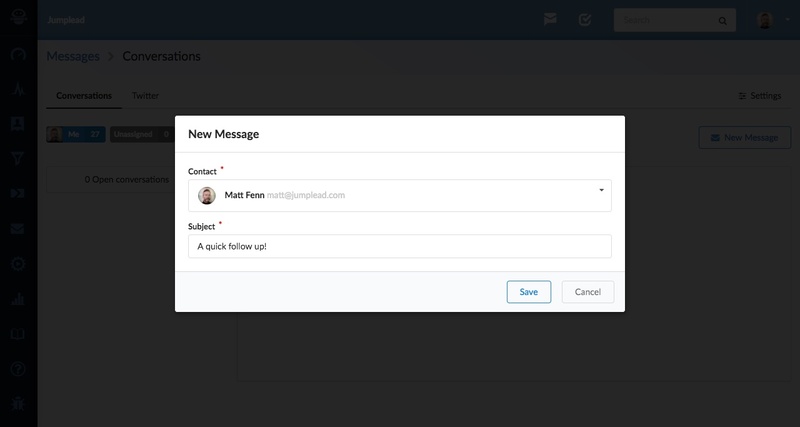 This allows conversations to be managed within the Jumplead shared inbox. Search for your contact, then add your subject. This will start a new conversation that you can manage within Messages. 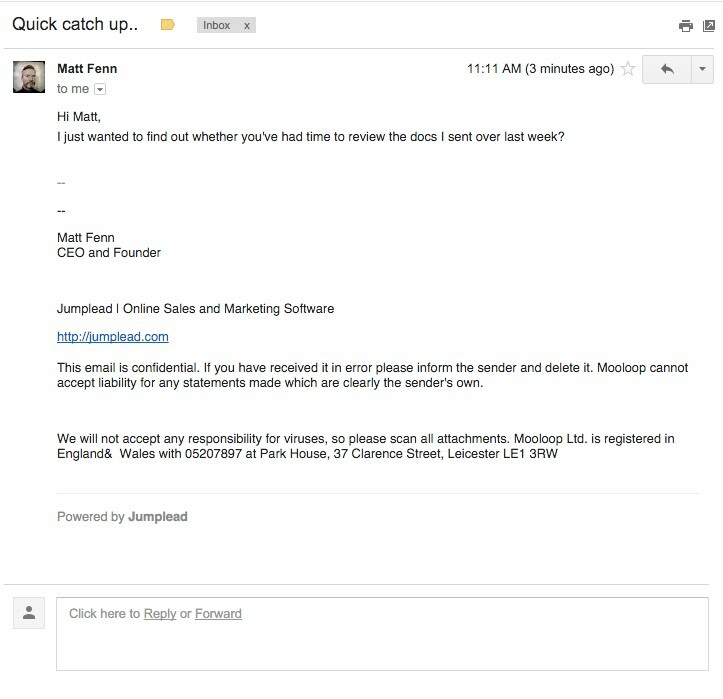 Emails are sent with standard text formatting. 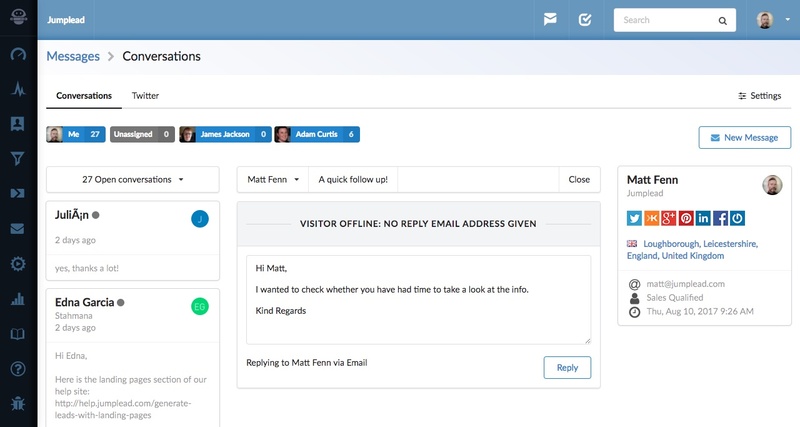 Emails replies are captured and managed as part of the conversation flow, as well as sending you an email that you can reply to as part of the conversation.